Cassandra (Cassie) grew up on the “Iron Range,” in Eveleth, a small town in northern Minnesota. She completed her undergraduate and graduate studies at the College of St. Scholastica in Duluth, MN, completing her Masters of Physical Therapy in 1993. Following graduation Cassie married a local Fairbanks boy, Luther Brice, and moved to Fairbanks where she started working at Fairbanks Memorial Hospital from 1993-2007. While at FMH, she gained experience in the inpatient, outpatient, home health and long term care (Denali Center) settings. 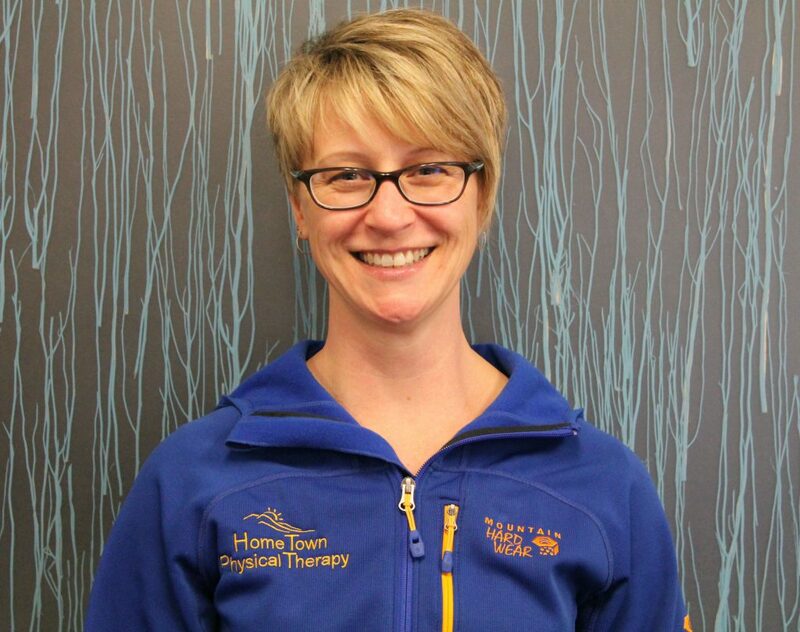 In 2007, she wanted to concentrate practice in the outpatient setting and joined the team at Willow Physical Therapy where she worked until 2012 when she became a part of the Home Town Physical Therapy family. Her primary area of interest is orthopedic rehabilitation, but also has experience in treating geriatric(falls prevention), vestibular and neurological patients. Cassie has taken a wide variety of continuing education classes over the years. In recent years, Cassie has developed a strong interest in integrating the therapeutic benefits of STOTT PILATES in all areas of practice. In 2016 she became certified in STOTT PILATES Level 1 Rehab Mat (Spinal, Pelvic and Scapular Stabilization) and Level 2 Rehab Mat (Peripheral Joint Stabilization) at Pacific Northwest Pilates Studio in Portland, Oregon. In 2017 she completed corresponding STOTT PILATES L1 and L2 Reformer classes. Cassie and Luther have raised 3 daughter’s all of which were highly involved in competitive sports throughout high school and have remained for the most part, INJURY FREE! All three girls are currently attending UAF. Outside of the clinic, Cassie will be busy keeping track of her girls! She also looks forward to spending time at Harding Lake, visiting family in Minnesota and and travel abroad!